Imagine how much more difficult blindfolded kata’s or forms would be if we did them to music in sync! 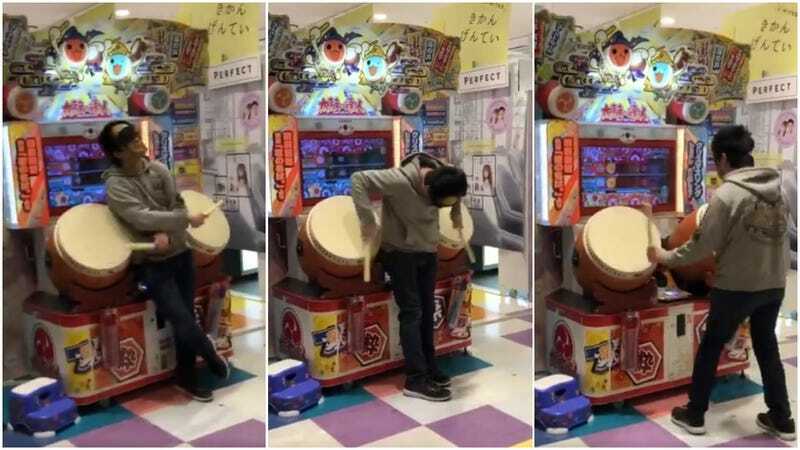 Twitter user Hiro spotted this masked-wearing, blind-folded Taiko no Tatsujinplayer at an arcade in Japan. The uploaded clip has racked up over three million views on Twitter.